Here is the cover art for Memorare by Gene Wolfe. 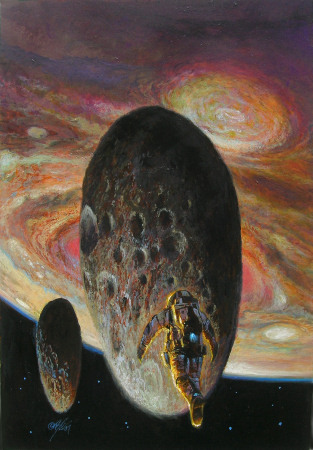 Bob Eggleton emailed me the final version this afternoon and I’m quite pleased. This fits the story very well. I don’t know the story, but that is an incredible image. I would definitely pick up any book with that cover and at least read the back to see what it was about. Ooh, nice. But it’s an Eggleton, so of course it would be.